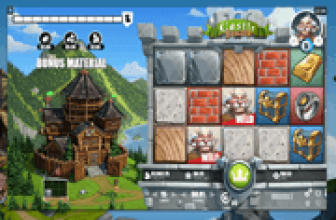 Temple of Tut Online Slot: Super Reels Boost Chances of Hitting Wins Both Ways! Temple of Tut online slot offers 10, pay-both-ways paylines by which 3 or more alike symbols may organise as winning combinations. 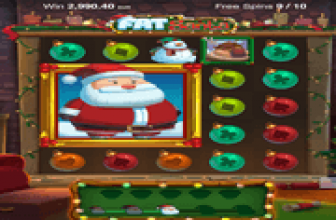 Created by Just for the Win (JFTW) for the Microgaming platform, all reel elements, except the Bonus Scatter, are configured as Stacked Symbols. Here, spin outcomes are evaluated for winning arrangements both ways; commencing from either leftmost or rightmost reels. Although the game has a Wild Symbol that helps in completing payline wins, the icon is special. It occurs only as a Super Reel distinction. Wild Symbols are attributes that give a column the Super Reel status. During base games, one or more Super Reels may come into view; but only as a random event. In a round of free games, every bonus spin is certain to return with at least one Super Reel. Depicting an archeological exploration inside the Temple of Tut, images of three (3) explorers come around as top paying icons. The Lady Explorer bestows the highest rewards; awarding 5x, 10x or 25x the Total Bet, when 3, 4 or 5 align as winning combi. Sharing the same range of payouts is the WILD, should 3 or more Super Reels produce a winning Wild combination. Any reel returning after a spin with a Wild Symbol is touted as a Super Reel. It occurs in base games only at random instances. If a game session progresses to the Temple of Tut Bonus Round, one or more Super Reels are certain to take place as steady free-spin outcomes. Denoting therefore that during free games, Wild Symbols constantly boost players' chances of hitting Big Bonus Wins. The Game Logo represents the Bonus Round trigger-symbol. Three (3) Temple of Tut icons appearing anywhere across the play area, initially unlock eight (8) Free-Spins. Hitting four or more is better, as the bonus grid will unlock more bet-free turns; 15 or 30, respectively. A free round extends if a bonus spin produces 2, 3 or 4 Temple of Tut Logos. Such outcomes correspondingly bring a fresh supplement of 2, 8 or 15 additional spins. The bonus round comes with a guarantee that every bonus spin will consistently produce Super Reels. That goes without saying, one up to five reels may return with partial or full displays of Stacked Wilds. Each roll of the reels covers all 10 paylines that pay both ways. Bet per spin options range from as low as 0.10, to as high as 250.00. The amount selected will then be the Total Bet staked to launch a spin. Take note that in this game, symbol payouts including those of the Wild, prescribe Total Bet Multipliers as reward bases. Temple of Tut : Super Reels Wilds Boost Chances of Hitting Wins Both Ways! 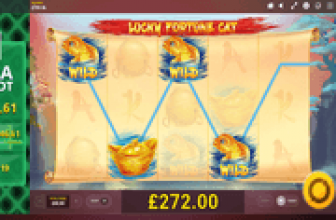 Temple of Tut online slot evaluates winning arrangements both ways; allowing alike payline contents to organise as winning combos either from leftmost or rightmost reels. The game has a Super Reels Feature that tends to bring partial or full Stacked Wilds in one or more reels. Awesome even is that winning symbols award multipliers of the Total Bet staked.